This article by Lara Lau-Schommer originally appeared in the March/April 2019 issue of Northern Gardener. MSHS classes at Bad Weather Brewery are relaxed and educational. Join us! Bad Weather Brewery owners Joe Giambruno and Zac Carpenter have generously donated the space to MSHS for the classes. Their three-year-old brewery and taproom on St. Paul’s West Seventh Street features a lengthy list of specialty and seasonal craft beers, and a different food truck makes an appearance every day. Joe and Zac started out sharing a brewhouse in Minnetonka with two other breweries, which allowed them to build a strong customer base before owning their own place. When they found their current location, they were excited to bring a new business to the West Seventh neighborhood and revitalize a property that had stood vacant for years. 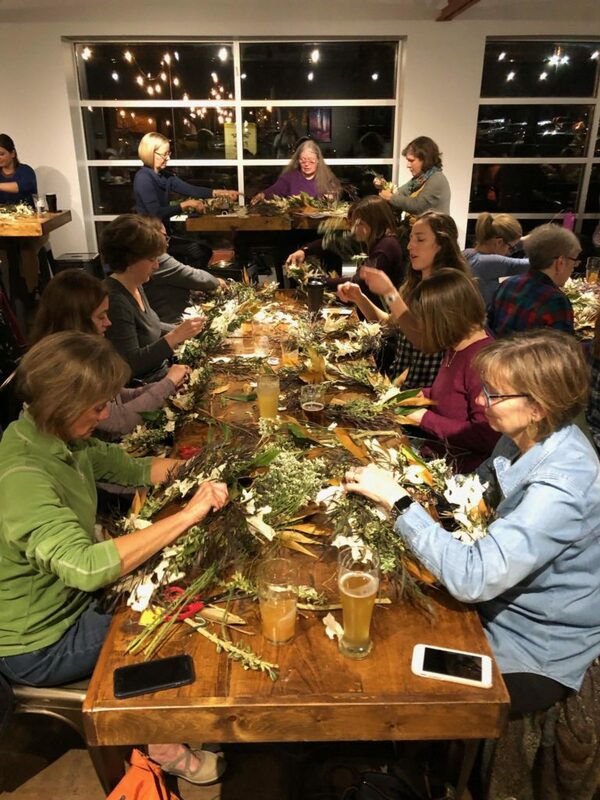 As they designed Bad Weather’s taproom, they were purposeful in creating the 85-seat event space, which they not only rent to private parties but also donate to organizations such as MSHS. If you’re interested in hosting an MSHS class at your venue, please contact me at llschommer at northerngardener dot org.